Wow. 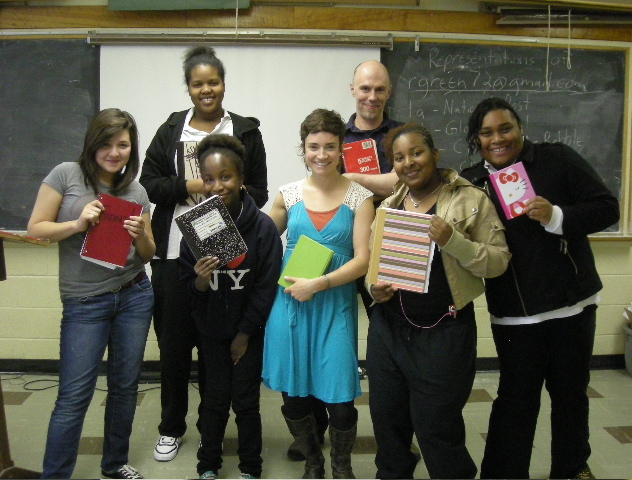 The Leonard Cohen Poet in Residence at Westmount High(Moe Clark) has finished term 1. Starting in Feb. and concluding in May, Moe did a stellar job. And the students were phenomenal: improving their performances, writing, and confidence. Special thanks to teachers Ryan Ruddick, Rob Green and Principal Michael Cristofaro. Special thanks to all supporters of this project, the Westmount High Alumni Assoc., Friesens Corporation, and many others. This entry was posted on May 14, 2010 at 2:32 pm and is filed under Uncategorized. You can follow any responses to this entry through the RSS 2.0 feed. You can leave a response, or trackback from your own site.